President Obama has granted 42 commutations of sentence, bringing his total to 348. This is the highest number granted by any president since Franklin D. Roosevelt. 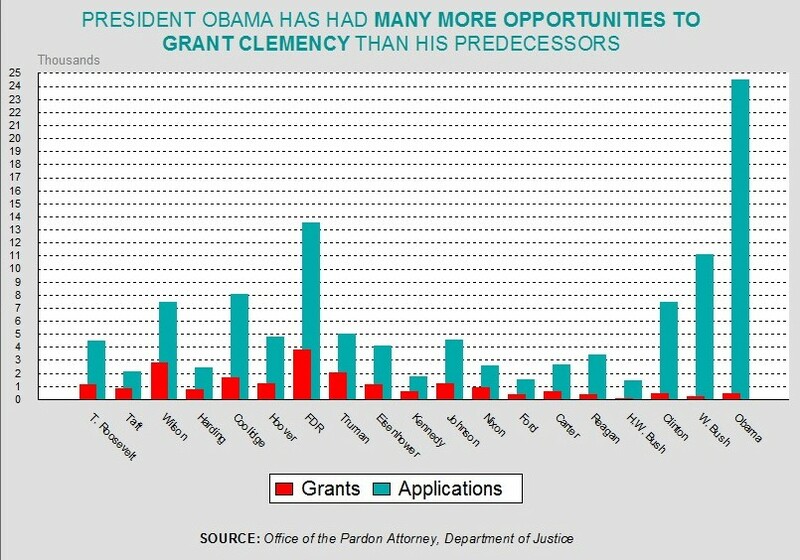 On the pardon front, Obama's miserable 70 are the lowest granted by any president since John Adams. 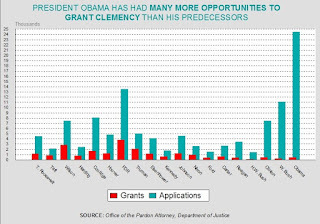 Obama's 418 total acts of clemency bring him roughly in line with Clinton, Reagan, Carter and Ford (Nixon and Johnson were much more generous). Obama, of course, has had many more applications than any of those presidents. The second sentence says it all. Pardons for non-violent crimes is not in the works for President Obama but giving drug dealers commutations is his priority. Why? "On the pardon front, Obama's miserable 70 are the lowest granted by any president since John Adams. "